Every digital marketer needs the right tools for their job, and a few months ago I purchased a Chromebook to use for my marketing efforts. I chose a Chromebook because of the low price, light-weight design, and convenience. Buying a great computer at an unbelievable price that would accomplish all my tasks was a no brainer. I did a lot of research on the best Chromebook and went with the Toshiba Chromebook 2 (2015) edition. While I am happy with the purchase, I have to admit it was difficult to make the transition. 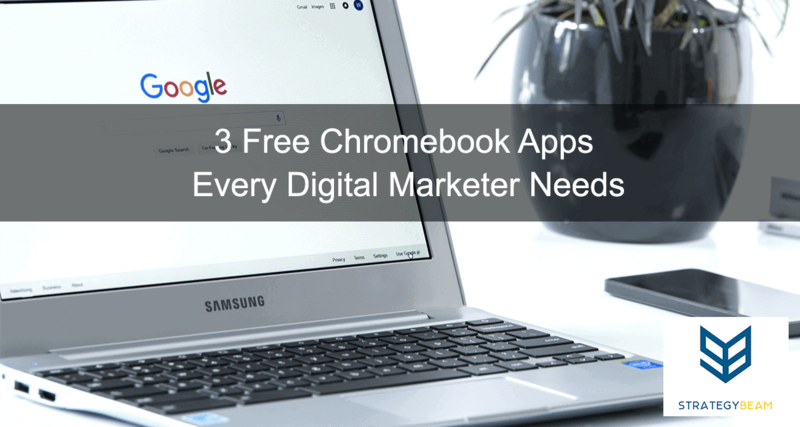 There are many programs out there for a Chromebook, but a digital marketer has a specific set of tasks that need to get done. Editey is my go-to HTML editing program when I need to create or change HTML code. Not only does it have a great user interface, it is also the closest thing to DreamWeaver I have found to use on a Chromebook. I have used other HTML editors for email marketing and website development projects. However, Editey is by far the easiest and most convenient to use. Editey makes HTML a breeze for email marketing and basic website design changes. Digital marketers will love the ‘Live Preview’ pane for quick visual reference of changes. I recently finished an email marketing campaign for Kappa Sigma Fraternity. This project required me to change some responsive HTML code to send us to all our email subscribers. Editey made it easy to create and change the code. I finished this project in about an hour, which is the same time it used to take me in Dreamweaver on my old Mac. I love Editey because it seamlessly integrates with Google Drive. As a digital marketer, I need a program that does what I need it to do, and this great HTML does just that. Editey formats HTML with color coding so I am able to breeze through modifications with ease. It is fast, convenient, and gets the job done. The ‘Live Preview’ pane is great to see changes quickly, but I am not able to highlight text in the ‘Live Preview’ pane and show me the corresponding text in the Code View. This was a great feature of Dreamweaver and helped speed up the process. While it’s inconvenient, it’s not a deal breaker. To quickly find the corresponding code, I simply use the Find option in the Code View (Ctrl + F) and look for the content I need. It’s a quick fix to a small problem. It can sometimes be difficult to start a new project. If I want to work with just HTML, I need to launch the program, choose “New Project” and select “Purely Blog.” There are several options to get you started, but “Purely Blog” gives the best framework to begin an HTML project. Editey is the best solution out there for a Digital Marketer who works off a Chromebook. Like many Digital Marketers, I grew up using Photoshop. I memorized the hotkeys and knew all the best practices to make small to medium modifications to images for various projects. The move from Photoshop after buying a Chromebook was by far the hardest change I had to make. Using Pixlr to manipulate images for projects like email marketing and website development is a breeze. The layout is intuitive and makes your marketing projects quick and easy. The User Interface reminds me a lot of Photoshop on my old Mac. The transition was straightforward and my marketing projects turn out just as good as they did using Photoshop. Pixlr has the option to crop images based on output size. This makes it fast and convenient to adjust image dimensions to fit into an email template or update a website. This is key to complete any task in a short time. Pixlr has the ability to create and save layers. This allows me to be a bit more creative and have more flexibility when working on a project. I create all the ‘Featured Images’ for my blog using the layer tool and save them as a special file type that preserves the layers. This saves me time by reducing the workload for repetitive tasks. Veterans of Photoshop will notice this is like the.PSD file format. Pixlr has a few options to auto-correct color and balance of an image. I love this feature because I don’t need to always do manual corrections when simple auto-corrections will do. This feature saves me a lot of time and hassle in the long run. There is an annoying advertisement section that take up a lot of real estates. I checked with customer service and I was told there is no way to remove these ads. This is a minor annoyance, but the service is free (wish there was a paid version), and I can still work comfortably within the area provided. This might be a bigger problem for computers with low resolution. Pixlr has a “wand selection” tool, but I am not able to find a “Quick Selection Tool” like the one found in Photoshop. This makes selecting an area of an image a pain, but there are some quick and dirty workarounds. As a workaround, I found that using the magic wand and adjusting the “Tolerance” can provide great results. This is a quick and dirty solution but gets the job done. The inability to make custom shapes. This might seem minor, but it is still an annoyance. For example, to make the arrows for the image above, I had to go to Google Images and download an arrow and then upload it to Pixlr. It added an extra step, and while it’s not a deal breaker, it seems like such a simple feature that is missing. I am a visual learner, and I like to plan out campaigns using mind mapping technology. I use mind maps for everything from thinking through content strategy for a campaign to illustrating an idea for a blog post. MindMeister is a great tool because it provides everything I need, looks great, and is easy to use. You will love this free digital marketing tool if you are a visual person or you just want a tool to help layout ideas for a blog post. You can create intuitive and detailed mind maps with little effort. Not only does this mean you can lay out your ideas, but you can also produce visual representations of your thoughts. I absolutely love the User Interface and design of this mind mapping program. I am a big stickler for the design of a product. 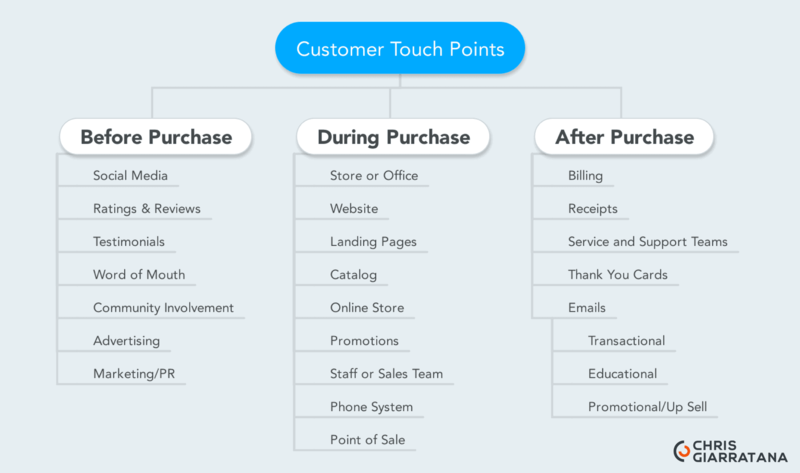 I won’t use a superior product if it doesn’t “look right.” MindMeister is one of the only mind mapping tools I use because the end result looks so good! I can export your mind maps to different file types. This means you can save a mind map for later use at your convenience. The native file type retains layers so you can make quick edits. The free version only allows for 3 mind maps by default, there are ways to increase this limit using an affiliate link for sign ups or the paid version. When I first launch MindMeister you see various creations from the community. This is a great resource to get ideas for your own work and help spur ideas. I love opening up MindMeister when I am low on ideas and get a boost of creativity from this great digital marketing tool. Plus, it’s amazing to see other people’s ideas and creativity! The only real issue I have with MindMeister is the limit on mind maps I can create with the free version. Come on, you’re only going to give me three mind maps? I get you want me to upgrade, but that’s barely enough to get my feet wet. There are ways to increase the limit, such as having people signup for an account using an affiliate link or signing up for the paid version. While the affiliate link allows a limited number of maps, it hasn’t been an issue for me. Overall, I am very happy with my decision to transition to a Chromebook. My needs as a digital marketer are not too heavy, so a Chromebook is great when I use these apps. Of course, if you edit videos then Chromebook might not be what you needs, but for 90% of digital marketers, a Chromebook will be more than enough. Now it’s your turn. Did I forget a great free app for the Google Chromebook? Let me know in the comments below!